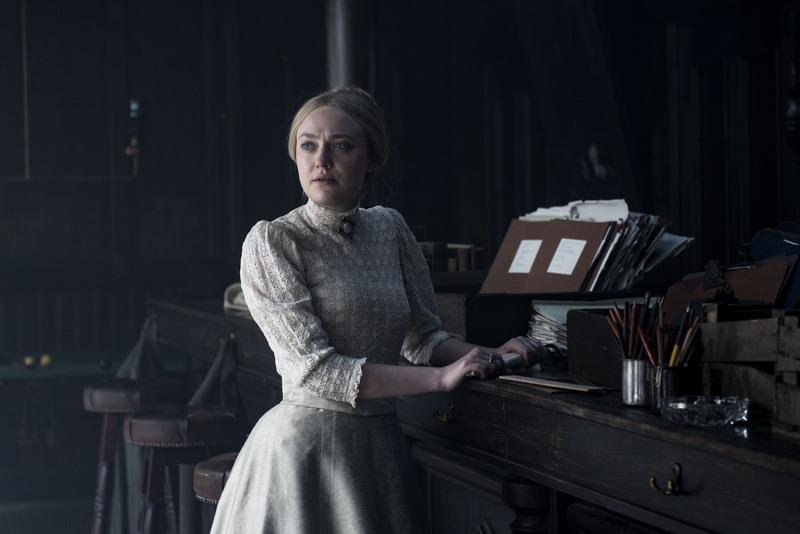 Adam reviews the tenth (and final) episode of the new TNT Drama The Alienist starring Daniel Brühl, Dakota Fanning, and Luke Evans. The series is based on the Best-Selling Novel by Caleb Carr. As the cliché goes; parting is such sweet sorrow. This aforementioned cliché is doubly applicable to the ending of the limited series The Alienist. The series closes as the team chases down a ticking clock as the killer has struck again. Plot threads, characters collide for what is a satisfying end to a truly interesting and griping limited series. Often times you will find, even with a limited series, endings will not have finality, leading to a completely dissatisfying piece of storytelling. This is not the case with The Alienist. The show in its first (and hopefully not last) iteration finds a definitive ending to the story leaving us with a satisfying conclusion albeit one that plays to The Alienist strengths. That is to never fully giving everything for a happy ending but one that sides are a bit more realism. The series has never faltered in its ten episodes keeping to its strengths of putting characters and characterizations first. Consulting producers E. Max Frye and John Sayles no doubt had a huge hand in guiding this ship. Both screenwriters have an innate knowledge of character-based genre work having both have been able to jump very easily from genre to more artistic endeavors never losing their strengths in the transition. The entire writing staff should be commended for what could have been an unfocused unwieldy project. Through its entire run, there was clarity to story and development of characters that never felt contrived or manufactured. The few criticisms that can be leveled at the series female characters and the killer himself remained at times thinly developed. The killer is understandable as the crux of the series hinges on the identity of this killer. Often misdirects and upturning expectations had hindered the story fleshing out the killer’s story. The female protagonists though beautifully drawn seem to have gotten the short shift (as was the case in the novel). Point, in fact, the most interesting character is Sarah Howard and though the series wants to be about her, the series does not fully commit to her story rather sharing between her, Dr. Kriezler (Brühl), and Moore (Luke Evans). Dakota Fanning is by far and away the performer that benefits the most from the series. Her Sarah Howard possibly the best work the young actress has done in her career. To repeat my self from a previous review it remains the same but doubly so as the series ends. The work that Fanning is doing here is simple, elegant and powerful as Ms. Howard. The show’s subplots with Howard going through society are clichéd but Fanning’s work here is marvelous. Daniel Brühl’s skill as a performer comes in that understanding and being able to display an uncommon apathy. As Kreizler through the entire series, Brühl gives a guided tour of apathetic performances, never once asking for sympathies but always finding an understanding. Though an audience may not like what is reflected back at them. Brühl as a performer does not resolve things in a tidy bow at the end of the series. Kreizler’s final moments feel as though they could be a cliche. Brühl’s brilliance as a performer is to show that small moment, that complexity of a man trying to wrestle his demons away. There are many damaged characters on Television currently but none of them as complex and complete as Brühl’s Dr. Kreizler. Luke Evans as the third of the trio of lead performance is John Moore, takes the most standard and pedestrian of roles (of the three) and makes it a 12-course meal. What could have been a thankless role is something much more interesting. There is a broken sadness that Evans imbues the entire performance with. Moore’s past is doled out over the course of the series. It’s filled with disappointment and tragedy and Evans plays it like a man unable to admit as such to himself let alone to the world. His ark that plays through the show is his maturing into a man of substance, allowing himself to understand what is broken in him. If there is a heart in this series it is the one shared between Fanning and Evans in the delicate and sometimes course dance they do as Sarah and John. The supporting cast lead by Brian Geraghty, Robert Ray Wisdom, Douglas Smith, Matthew Shear, Q’orianka Kilcher, Matt Lintz, David Wilmot, Jackson Gann, and Ted Levine. All playing fictional and non-fictional characters have their moments in the series but create fully realized characters not just plot points with a “moment”. Even cameo performers like Michael Ironside and Sean Young do impressionable work. One can only hope that it will return in the same form it came to us in. Another limited series fully formed complete story filled with brilliant writing, direction, and acting. Simply put The Alienist is superb television that has stuck its landing. That is the rarest of treats in our age of never-ending peak television.